We love to draw live during events, but we also love to hear how clients and their crowds use our completed visual notes after the events are over! Let us draw a team strategy meeting, then use our drawings to remind your team of your shared goals. Post our boards in a meeting room or a break room as an active or passive way to keep the team on track and the vision strong. Post our artist at your expo to draw your company story, live for attendees. Then repurpose snippets of the art on your Website, emails or on social media. We can use on-brand colors and graphical cues to stay on-brand. We’ll capture your client discussion, then hand over our completed drawing panels to send off with your client at meeting’s end. They’ll be sure to remember your ideas, and will have a clear picture of what you can accomplish together. Give your audience a colorful, visual capture to take home what they learned, and a reminder to come back for more at the next show. "One of my favorite things is the graphic artist who is capturing things in this unique way, so that I can even go over after after a speaker and take a picture and capture it that way to add to my notes." Recently, one of our conference clients set up an account with the on-site FedEx shipping center, so that the speaker could simply leave their drawing with their address. It was a hit, and we were honored that our drawings were shipped around the country! Like what you see? 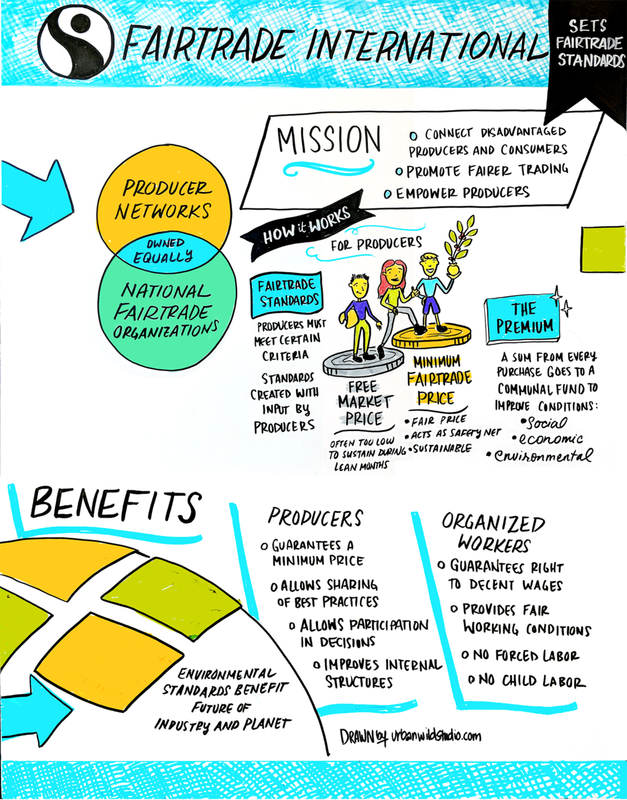 Read more about graphic recording, or contact us to discuss your big idea! Yes, We Travel to Draw!